Considering the consequences of meat production and consumption in the West and globally, countries such as Nigeria with relatively low meat consumption per capita have the benefit of hindsight. However, if not checked, the current social structures and mechanisms, might progressively accelerate the consumption of meat and demand for animal-based food. Policy makers and government parastatals need to strike a sustainable balance between environmental health and promoting animal-based products for nutrition and economic reasons. Against the influence of social status, prestige and westernisation, people need to be responsible for their dietary choices supported by education and awareness. 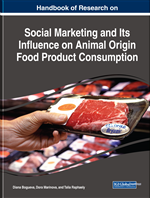 This chapter presents an overview of animal production and consumption in Nigeria to uncover unapparent factors and social drivers encouraging the livestock sector. Disproving the general assumption and misbeliefs that promoting plant-based diets might negatively affect developing countries, the localised implications on nutrition, health, environment and the Nigerian economy are weighed and clarified. The growing significance of plant-based diet around the world is becoming apparent in the light of food insecurity, health problems and environmental concerns (Gold & Porritt, 2004; Henning, 2011; Nordgren, 2012; Raphaely & Marinova, 2016). Many authors have argued the resource use benefits of plant-based relative to diets based on animal products (Henning, 2011; Pimentel & Pimentel, 2003; Raphaely & Marinova, 2014a; Yacoubou, 2009). To obtain the needed animal products such as meat, dairy and eggs, animals have to be reared and intensively fed. The unjustifiable land-use, water-use, and grain consumption in the animal agriculture sector pose a threat to the continual existence of humans on earth (Singer & Mason, 2006; Raphaely & Marinova, 2014a). The environmental impacts of industrialised animal farming are also undeniable (Macrae, 2010; Pelletier & Tyedmers, 2010). Driven by the increasing human population and its excessive appetites for meat consumption, the growth of the animal agriculture sector has been accelerated to an unsustainable level for the planet (Raphaely & Marinova, 2014a). Human dietary choices, therefore, transcend individual interests. They concern human health (both public and personal), ecological health, the economy and even animal welfare. As emphasised by Raphaely and Marinova (2014a), individual choice of food has a cumulative impact on earth’s sustainability. Currently, the inordinate appetite of the western world for meat consumption has resulted in health problems such as obesity, diabetes, cardiovascular diseases, cancer and antibiotics resistance (Abioye-Kuteyi et al., 2004; Azevedo & Alla, 2008; Chan et al., 2011; Ferrucci et al., 2010); increase in greenhouse gases (GHGs) resulting in climate change (Goodland & Anhang, 2009; Raphaely & Marinova, 2014b; Stehfest et al., 2009; Steinfeld et al., 2006a); and a misappropriate use of land for animal agriculture (Lubowski et al., 2006; Thornton et al., 2011). The complications resulting from animal agriculture are expansive, for example, animal agriculture can be linked to the starvation experienced by about 1 billion hungry people in the world (FAO, 2015). The current grains production in the world is more than sufficient to feed about 9 billion population, however, these grains (which should have been consumed by humans) are been fed to animals which subsequently produce meat with a poor grain to meat ratio (Foer, 2009; Godfray et al., 2010; Henning, 2011; Pimentel & Pimentel, 2003; Yotopoulos, 1985). Beyond the unjustified grains to meat conversion ratio, meat production and consumption have also resulted in global inequality, as most of the meat produced from grains sourced across the globe is consumed by the western world (Raphaely & Marinova, 2014a). About 80% of the over I billion hungry population are distributed across developing nations (FAO, 2015; Andersen & Kuhn, 2014). Contrastingly, these developing nations, in most cases, grow sufficient grains to feed their human population but the grains are feed to livestock animals locally or through exportation (Godfray et al., 2010; Guyomard et al., 2013). Sub-Saharan Africa: The region of the African continent located south of the Sahara Desert. Nutrition: The process of obtaining the necessary food for maintaining health and growth. Developing Country: A country which is not industrialised. Since 2016, the World Bank and the United Nations no longer use this term; instead countries are classified based on their per capita Gross National Income in the following categories: low-income, lower middle-income; upper middle-income and high-income economies. Flexitarianism: A dietary style characterised with reduced animal meat consumption and abundance of plant-based options. Livestock Agriculture: Raising of farm animals for food production, including meat, eggs and dairy products. Diet: Food and drink preferences to provide nutrition. Westernisation: Adopting the culture of the West, it refers to cultures in Europe, United States of America, Canada, Australia, New Zealand and parts of Latin America.